The A22 Golden Jubilee Way has been closed after a collision on the southbound carriageway this morning (January 23). Emergency services are on scene and there is said to be diesel on the road after the incident at about 9.30am. 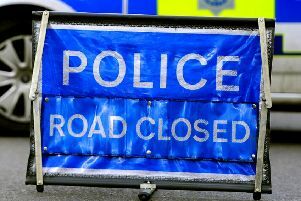 Then at 11.45am, Highways said, “Eastbourne southbound is still closed and will be for the next few hours at least. Specialist Cleaning Equipment is on its way and the road will be reopened once this has been completed. Special Constable Luke Williams said the wait is due to a long ETA of the cleaning vehicle. There was said to be queueing traffic on the A27.